Yasmin and Yaz burst onto the scene as the hip, new contraceptive that not only provided birth control, but also reduced acne and limited the effects of premenstrual dysphoric disorder (PMDD). What the ads failed to mention, however, was the connection between Yaz and pulmonary embolism. In fact, pulmonary embolism was only one of the many life-threatening side effects that women might encounter while using the oral contraceptives. Others included deep vein thrombosis (DVT), strokes, heart attacks — and in the most severe cases, sudden death. Bayer Pharmaceuticals, manufacturer of Yasmin and Yaz, has been aware of these potential side effects since the first court filings in 2006. Settlements totaling an estimated $1.6 billion have already been paid to more than 7,500 plaintiffs. Yaz lawsuits claim that the drug was marketed and advertised in a way that exaggerated the benefits while downplaying the serious blood clot risks associated with the contraceptive, and that Bayer failed to issue a recall after fielding reports of life-threatening side effects. Even as Bayer negotiates these settlements, it stands by the claim that Yasmin and Yaz have no greater risk of side effects than other oral contraceptives. 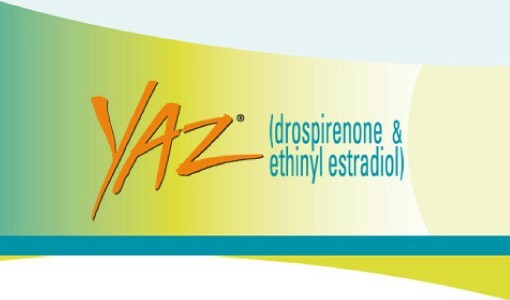 Estimates put the number of women who have used Yaz or Yasmin at over 100 million worldwide and more than 12 million women in the United States. And, because it is still available, these numbers will continue to rise. 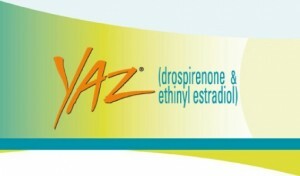 The basic formula for Yasmin and Yaz was developed in 2001 by the Berlex Corporation. They used the same estrogen compound found in earlier (third generation) contraceptives, but added drospirenone to the formula. This distinguished the new drugs from the last generation of contraceptives, which had a black box warning from the FDA for an increased risk of Yaz blood clots resulting in deep vein thrombosis and pulmonary embolism. Consequently, Yaz and Yasmin were not required to display the warning label on their packaging. Bayer Pharmaceuticals bought Berlex in 2006, just after the worldwide release of Yaz. The FDA issued three warnings to Bayer over health concerns and misleading advertising relating to Yasmin and Yaz, once in 2008, once in 2009, and finally in 2012. In 2012, the FDA updated the warnings and precautions for Yaz and Yasmin to include the increased risks of “thromboembolic disorders and other vascular problems,” including pulmonary embolism. The FDA also required Yaz and Yasmin to carry the black warning label assigned to generation three contraceptives. A pulmonary embolism is a blood clot that has traveled to and become lodged in the lungs. They can be fatal if a large artery in the lung becomes blocked. Pulmonary embolisms usually start as deep vein thrombosis, a blood clot in the vein of the lower leg or thigh. If this clot breaks loose, it can travel to the lungs. The clot may also travel directly to the heart, where it could cause a heart attack, or to the brain where it can lead to a stroke. Yaz blood clots prevent the movement of blood through the body, thus depriving muscle tissue of oxygen. If the clot is left untreated, it can lead to severe tissue damage or even death. Women taking Yaz or Yasmin (or any contraceptive containing drosperinone) should seek immediate medical treatment at the first signs of a pulmonary embolism. Once a pulmonary embolism or other blood clot is detected, a medical professional will treat it with an anticoagulant drug like Heparin or Warfarin. If this does not alleviate the clot, a surgical catheter may be used or, in extreme situations, vein filters may be placed to prevent the clot from reaching the lungs, heart and brain. Bayer may contend that their products are no more dangerous than others on the market, but the research says otherwise. The most recent FDA study, released on October 27, 2011 and consisting of 800,000 women, showed drugs like Yaz and Yasmin could increase the risk of blood clots, DVT and pulmonary embolism by as much as 74%. This wasn’t the first time this link had been made. In 2009, a study published in the British Medical Journal showed the same increased risk for women taking Yaz. In 2011, there was a follow-up report that put the risk of venous thrombosis at double that of a woman not taking other forms of birth control. Perhaps the most comprehensive study was published by Danish researchers in the New England Journal of Medicine. Their 15-year analysis covered 1.6 million women who were not pregnant and were taking Yaz or Yasmin. Their findings showed that 3,311 women in the study had suffered thrombotic strokes and 1,725 experienced heart attacks. The direct link between Yaz and pulmonary embolism, stroke, heart attack, and other blood-clot related injuries has been established by numerous clinical trials and post-marketing reports. More than 11,000 Yasmin and Yaz lawsuits have been filed, the majority of which were consolidated in multidistrict litigation in the U.S. District Court of Southern Illinois. These claims assert that Bayer knew of the blood clot risks associated with its blockbuster pills, but failed to alert the general public or health care community. They also claim that Bayer willfully used deceptive advertising tactics to downplay adverse Yaz side effects in television commercials.